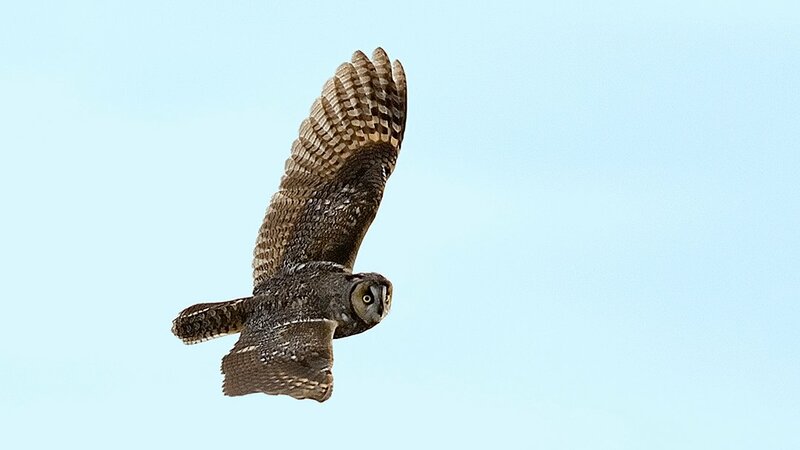 The word “invasion” makes it sound sinister, but when an unusually high number of a single bird species show up in an area, birders call it an invasion or “irruption.” And this winter, Chicago is seeing a lot of long-eared owls, according to Field Museum Ornithologist Josh Engel. Engel joins Phil Ponce on Chicago Tonight to fill us in, with stunning owl photos and video by Chicago photographer Rob Curtis. The long-eared owls we see in Chicago breed farther north in Wisconsin, Minnesota and Ontario, and migrate to “warmer” winters. Once here, these nocturnal birds roost by day, typically hidden in coniferous trees, often near grassy areas where they can hunt small rodents at night. Experienced birders know where to look, says Engel, but they are reluctant to share the locations because visits by the general public, or even less skilled birders, can disturb the owls and put them at risk from predators like red-tailed hawks. Why so many this year? It’s most likely because of the available prey, says Engel. Perhaps an abundance of rodents in their breeding grounds farther north led to a bumper crop of young long-eared owls, or more food here may have made this a particularly good place to winter this year. The milder winter is likely not an explanation, he says. Long-eared owls typically eat smaller rodents, like white-footed mice and voles. Adult rats are too much for them, but they will gladly eat a young one, says Engel. Owls eat their prey whole and then cough up pellets filled with indigestible bones and hair, allowing researchers to analyze their diets. If you do come upon a long-eared owl, Engel says, it is fine to enjoy it briefly, but then back up. It's no problem to watch from a distance, but if the bird is staring at you then you're probably disturbing it. Photographer Rob Curtis's video below of the two owls in a pine tree is a great example of what relaxed owls look like: sleeping, preening and generally ignoring the observer. You can see more of his videos here. Dec. 13: There are many Christmas traditions, but one that is especially beloved by people who love birds is the annual Christmas Bird Count. Learn more. Oct. 31: Jay Shefsky takes a road trip with some birders, and they stumble on a pair of rare and endangered whooping cranes. July 6: In the mid-1980s, the Lincoln Park Zoo and Brookfield Zoo set up critical captive breeding populations of two bird species native to the Pacific Islands. A new report from the Center for Biological Diversity underscores the impact of such programs.